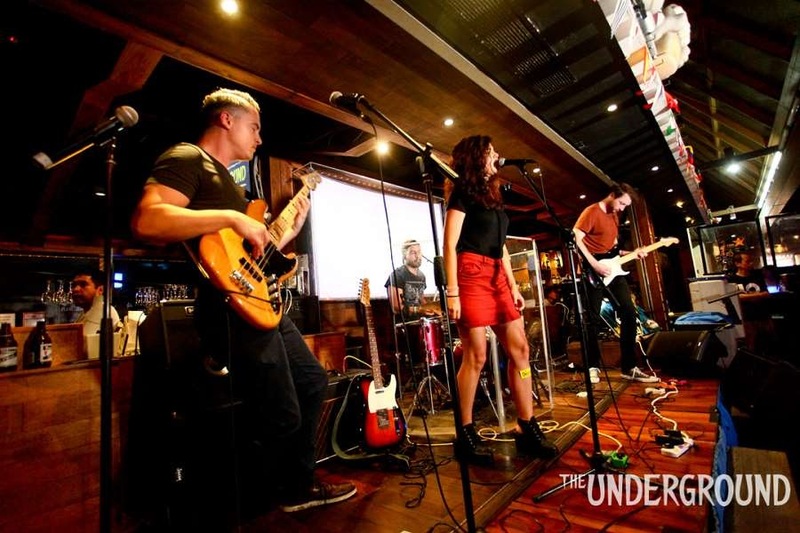 In a matter of months, Wanchai Road have become a mainstay on the city’s music scene, bringing both a sunny West Coast rock sound and a sizeable entourage of friends wherever they play. After missing out on the judges’ accolades at Volkwagen x Underground Battle of the Bands last month, the hard-working rockers drilled down in the rehearsal room to prepare for their next competition – and it really showed at Planetrox. Keyboardist Diego Caro was absent, so the band played as a four-piece. Without Caro’s contributions – branded as “sloppy” by a previous Underground reviewer – the band debuted a sleeker, more straightforward classic rock sound. With fewer players and competing sounds on stage, lead singer Maria Lopez’s vocals and guitar playing came through a lot clearer – though it was still occasionally difficult to make out the lyrics. 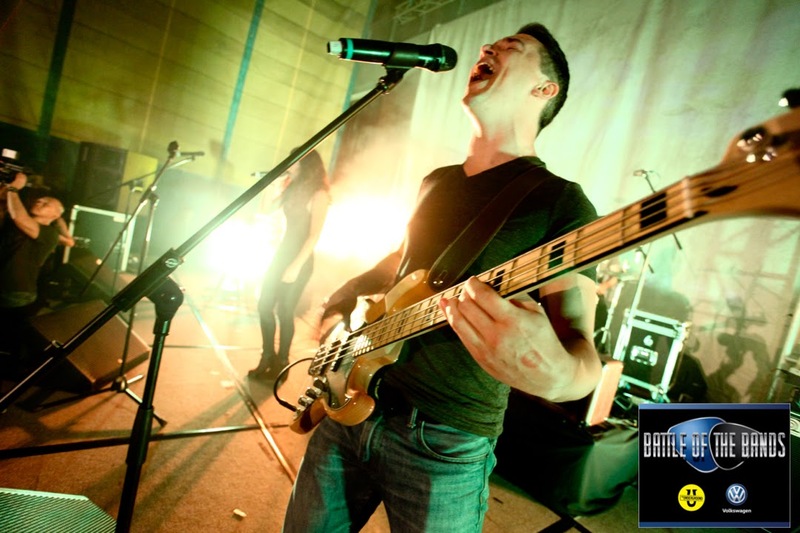 Opener Supremacy combined a punchy, Tim Commerford-style bassline with a bluesy guitar riff to create a distinct Led Zeppelin vibe. Slightly shaky at first, Lopez’s vocals soon blossomed into vocal melodies that were full of warmth and character. Guitarist Tom Cowan’s phaser pedal beamed out a nu-psychedelia feel on the following song, Delusional, while Lopez’s voice wavered soulfully like Stevie Nicks, building to a husky, gritty chorus over bassist Clark Cahill’s four-note motifs. Never was a slower number brimming with intensity. Lopez’s voice dipped and soared while monsoon rains began to fall, adding to the dramatic atmosphere. It became clear at this point that Wanchai Road could be in contention for victory. Diego Calascibetta’s cymbal-heavy drumming dominated in the mix, as Cowan wove through some tremolo playing. As with the previous acts, the drums were disproportionately loud, though Wanchai Road were fortunate to have one of the most balanced sound mixes of the night, allowing Cowan’s understated technical skill to steal some of the spotlight. Final song New Beginning recalled Hole feel in its grungy guitar arpeggios and catchy hook. The crowd reacted with excited cheers as Lopez’s voice built to a shout alongside a solo straight out of Cherub Rock-era Smashing Pumpkins. Natural performer Cahill’s animated antics made for an entertaining show, yet occasionally threatened to detract from the music and overshadow his bandmates’ more unassuming personas. Though the individual band members were perfectly gracious, a minority of overzealous audience members showed some rather unsportsmanlike behaviour during other bands – booing, talking loudly during other sets and one even outright called for a recount when the winning act was announced. A passionate fanbase’s support can really spur a band on, though actions like this can also see them gain a bad reputation on the scene. It was a shame when Wanchai Road’s sophisticated Planetrox set saw them graduate their image from a bunch of expats playing to rent-a-crowds, and showed them starting to taking their stagecraft seriously among a very competitive roster of bands. Overall, it was evident that a lot of work had gone into a tightly-rehearsed set that established the group as worthy contenders for the Canadian festival slot. Going forward, the band could look at reincorporating Caro’s keys into the live set in a way that doesn’t feel intrusive, while working on new songs that bring greater originality and personality to their sound. Over You Again began with a mellow piano and bass pairing while Maria Lopez sang shakily, probably due to nerves being the final band of the night. The song dramatically shifted into unified stabs, with bass player Clark Cahill slapping all the strings. From this point, Lopez sang more accurately and confidently while the song was essentially a straight-forward driving rock track, and could easily pass for Stereophonics. Cahill became even more animated in This Place, running over to the other side of stage, writhing around and sticking out his tongue as if he had suddenly inhabited the spirit of Flea. The song had a subtle funk pop rock sound which quickly ramped up in tempo to more of a country rock feel. It was energetic, but came across like two random ideas stuck together just to create a complete song. Wanchai Road closed their set, and the night, with Supremacy. Centred around a Lenny Kravitz-style guitar riff, the track channelled a downtempo 60s classic rock sound, with Frusciante-esque funk guitar chords in the verses. Sadly, the song was ruined by a sloppy keyboard solo by Diego Caro, which really jarred with the other members’ contributions, before the band instigated their trademark move of speeding up once more towards the end. It’s great to see a band that has such a strong and loyal fan-base with them, but they should bear in mind this doesn’t compensate for memorable or cohesive songs.